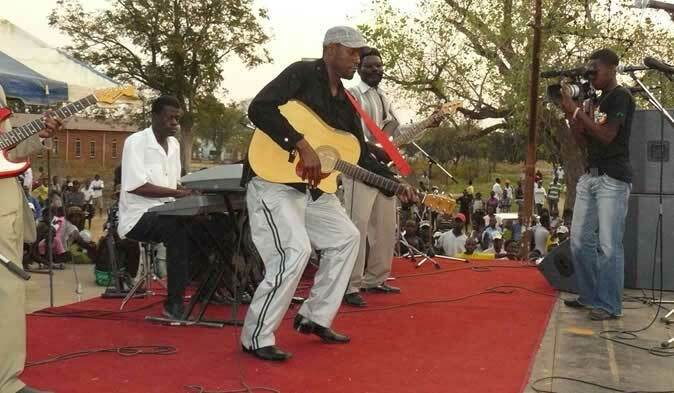 Matabaleland South Senator for MDC-T Sithembile Mlotshwa has said local musicians are not treated well and what was the government policy on their issues. She said this in parliament directing the questions to the deputy Minister of Information Media and Broadcasting Services Thokozile Mathuthu. "What is the policy on musicians and royalties? I think musicians are not being treated the same by the Zimbabwe Music Broadcasting and also their videos are not being played on television. The viewing commission is also only found in Harare. Those are the people who have to view the videos before they are played on television," she said. "How can those musicians who are not based in Harare have their videos played on television? People need music and these other musicians' music has to be played as well but Government has not put a policy in place on how they can be treated. Even if you look at the list showing how they are paid their royalties, there is a difference. Some are not even paid because their music is not being played. The same genre of music is continuously being played." Mathuthu said royalties that are paid to musicians and all song writers is not the same. She said it depends on how many times the song has been played on air and they also have to discuss with their promoters. "Their promoters have to get in touch with ZBC for the songs to be played on air many times. The problem is that there is so much competition in music and at times we find that we do not have enough time to play music for certain people all the time. There is also a phone in programme where people phone and select their own type of music that they want. That is the reason why some of the songs by certain musicians are not played or maybe that is why they get very short airplay," she said. "There is a section that views musicians' videos. At the moment, ZBC has committees all over the provinces where they look at content production or content - for example Montrose Studio in Bulawayo and other studios; I have mentioned Montrose Studio because it is on my way to my home. That branch works very hard to see to it that a lot of programmes are placed on broadcast programmes when we go into digitalisation." Mathuthu said they now wish to broadcast all over so that people can view whatever they want so that we get a lot of our content, videos or music. "If we can broadcast for 24 hours, those who pay licences and for those who want their music or productions to be played, we will be having about 12 broadcasting stations," she said. "I am sure for those who were complaining that they are not getting enough air play, they will be having more time because we will be having more stations."